As more and more women join the infantry, the military has decided it would be best to redesign their gear to better suit the female gender. This includes changing their protective gear to accommodate long hair pulled back into a bun. 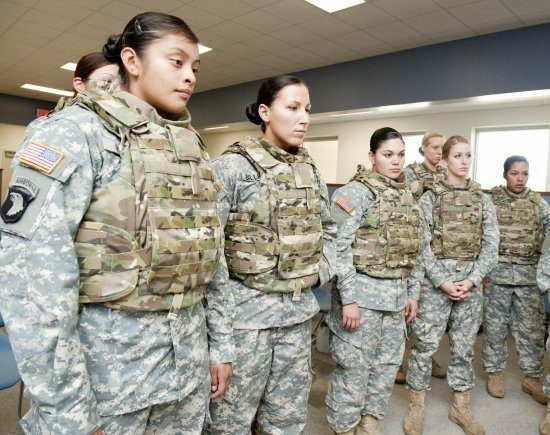 In presentations made to the Pentagon’s Defense Advisory Committee on Women in the Services representatives from the Army and Marine Corps announced that both branches are redesigning their protective gear to ensure a proper and secure fit on women who have their hair in a bun.